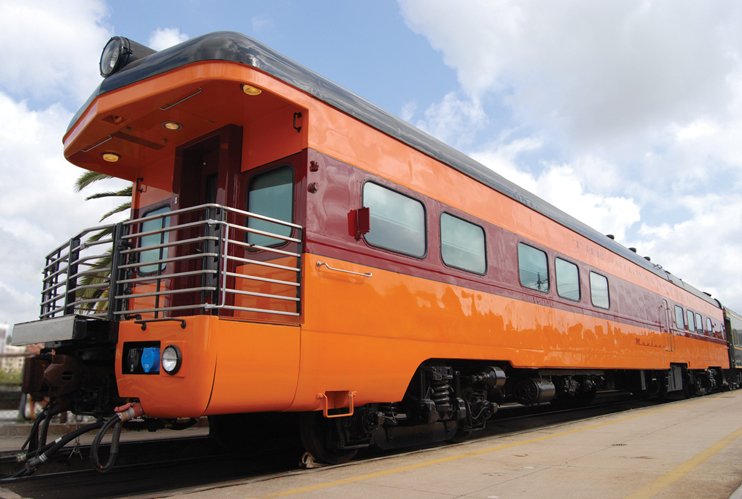 Unique Milwaukee Road style and comfort. Rich woodwork and trademark lighting create a feeling of warmth and coziness. Large windows and open rear platform allow excellent viewing. Sizable wood-lined lounge and dining area, swivel lounge chairs, full bar and XM radio. Luxurious master bedroom plus three double bedrooms are all beautifully restored. Travel reliably and in comfort with refurbished mechanical systems. 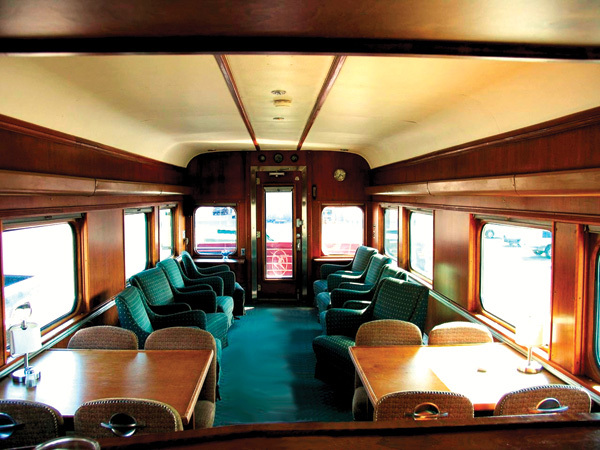 Designed and built by the Milwaukee Road shops as a Tap Lounge for the streamlined 1947 Olympian Hiawatha. Retired from regular assignments in 1955 and converted to a business car. Transferred to private ownership in the late 1970s, leased to the Wisconsin Central, then operated on steam excursions with the Friends of the 261. Currently owned by a family with strong Milwaukee Road heritage. Available for private charters and trips, with friendly and engaging service tailored to special occasions, and individual tastes and wishes. Based in Southern California.